We produce bespoke Point of Sale Displays, cardboard displays, FSDU’s, floor standing display units, colour poster printing, sale banners, stickers and window graphics for retail visual merchandising, Exhibition stands, Shelf strips & inserts, display stands, store displays, sign holders, portable display cases and much more for sucessfull point of sale. Free Standing Display units digitally printed then fabricated on our Zund flat bed cutter. We produce bespoke Point of Sale and Point of Purchase Displays, FSDU’s, floor standing display units, colour poster printing, sale banners, stickers and window graphics for retail visual merchandising, Exhibition stands, Shelf strips & inserts, display stands, store displays, sign holders, portable display cases and much more for sucessfull point of sale. Pyramid Visuals design bespoke P.O.S. pieces to display products with maximum visual impact. Cash register rolls, electronic transaction slips and sales dockets can be pre-printed to feature call-back offers or double as a competition entry form. 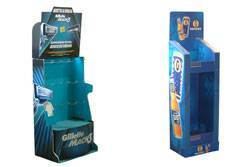 3 dimensional displays bring promotions and product offers to life at the point of purchase. 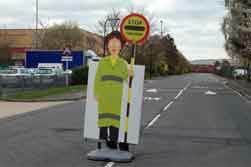 Show cards are the most versatile display items and can be used as section headers, on floor bins, at gondola ends, in windows and with off-location displays. Durable floor stickers lead the way to your product or service facility and comply with safety codes. 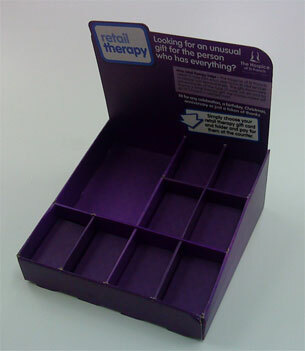 Colourful shelf wobblers can make your brand stand out from the on-shelf opposition. 7. Show & Tell P.O.S. Today’s consumers are seeking more information about the products and services they buy. This applies particularly in the Do-It-Yourself and impulse purchase markets where buyers are becoming more confident and more discerning. 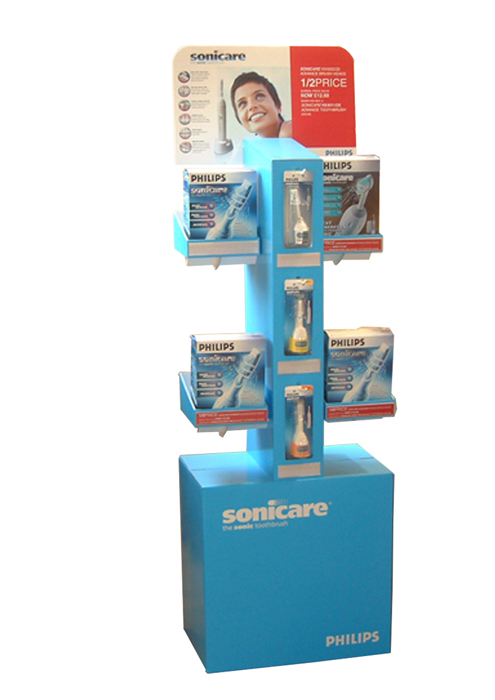 Reduce theft, stock shrinkage and lost profit with product replicas and dummy product display. Response mechanisms, including in-store entry, instant win, on-pack offers, mail, phone, fax and electronic lodgement, cater for the varied lifestyles and aspirations of today’s consumers. Pyramid Visuals can help you develop effective promotions to increase sales, stimulate trial, promote brand switching and build product visibility. Experience tells us that the most effective consumer promotions are simple, easy to enter and have an element of fun. They should be themed to suit the product or service they are promoting and they should be presented at the point of purchase in a colourful and visually appealing way. Theme promotions linked to a sweepstakes prize and bonus offers help get customers through the door and increase transaction levels. Loyalty promotions are a great way to keep customers coming back. Account specific promotions workto the collective benefit of both the participating retailer and the brand marketer. Unique promotions, inviting customer interaction, add fun to your marketing activities and help to prompt a positive consumer reaction. The most popular form of instant prize promotion. SAM carefully manage all legals, prize logistics and security. Innovative brand building activity, tailor made to specific retailers is a sure way to lift sales and strengthen trade relations. > One of the most successful forms of marketing as it is a form of positive communication between the customer and the retailer. > It has been proven that attractive, well organized, strategically placed products get the buyers attention. 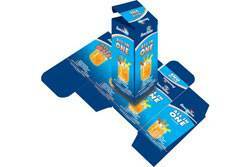 Package design plays a fundamental part in selling a product. It is the first thing the consumer notices about a product and if designed in the right way can boost sales immensely. Of course, there are other things to take into consideration for example; the price, availability, quality and the current market for the product however; a bright and eye catching design can distinguish your product from the other competition. On the other hand; if you would rather keep your packaging minimalistic by displaying only the product, it will also boost your sales effectively. For example; the company ‘Apple’ keep their packaging minimalistic, only displaying the logo and the product in multiple views. With less text cluttering the product is emphasised and complimented. Another example of minimalistic packaging is the packaging used by supermarkets for their cheaper brands. 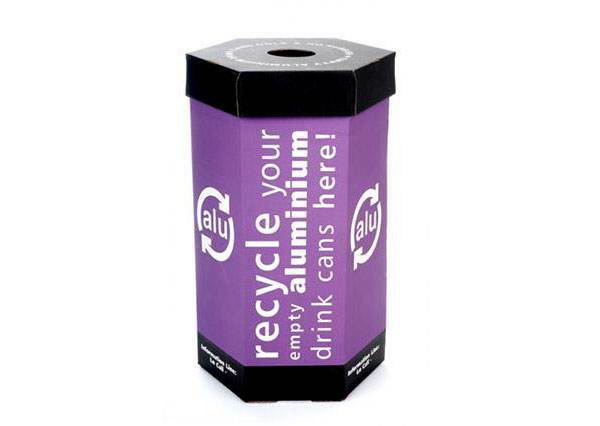 The simple packaging conveys the message that their products are affordable, and the technique of keeping the packaging the same for all of their low priced products makes them easily identifiable to the customer. For the customers that are not as price conscious the aesthetics of packaging are vital. Imagine this, you enter the cereal aisle of your local supermarket. 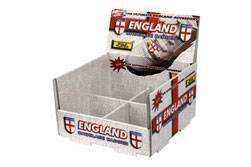 You are bombarded with numerous graphic designs on the front of the boxes... which one do you chose? For somebody without a predetermined choice of the contents inside, the packaging may just be the icing on the cake to earn you a sale above the others. The key ingredients to making your packaging a success and fulfilling its functions are: to contain the product, communicate product information, facilitate product storage and reinforce branding. Anything less and you are missing the opportunity to maximise revenue and lifetime customer value. Packaging is what brings a brand to life... remember this, when people buy your product, your brand’s message is being replayed 24 hours a day in people’s homes. For example; after an update in their packaging, the sales of ‘Heinz Baked Beanz’ soared by 21% in three months.